Situated at 50 metres from the beach of Quarteira and at 2 km approximately from Vilamoura, the most cosmopolitan and exclusive centre of the Algarve.Accommodation: All the rooms are equipped with air conditioning, TV satellite, radio and telephone. Facilities-Services.. Located in Armação de pera , this popular property offers an ideal place of rest and relaxation. 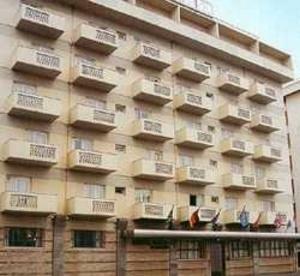 Hotel was constructed in 1985. Hotel was refurbished in 2014. There are a total of 32 rooms on the premises. The property consists of 25 apartments..
Atlantichoice ¿ Studio 17 Apartments are a high quality and affordable apartment complex situated in a tower-style building in Portimao.Offering light and modern apartments complete with a television and fully-equipped kitchenette in each, guests.. The Atlantic Side Offers 32 Apartments Completely Renovated, The Reception Is Opened 24 Hours And Near It You Can Find A Social Living Room. From The Terrace You Can Have A Enjoyable And Relaxing Sea View To Provide The Best Holidays. Location InformationThe.. On-site facilities include nightly live entertainment, bars, restaurant, dance room, games room, indoor swimming pool, playground and tennis courts. There are wind surfing and waterskiing facilities 200 metres away. DDS 05/08. 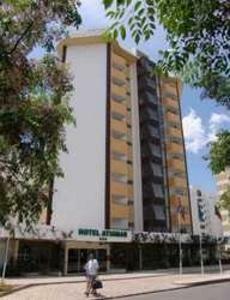 General Description: Welcome to the Auramar Beach Resort in Albufeira. The hotel is located 150 m from the sandy beach. The closest cities to the hotel are Armacao (15 km) and Vilamoura (18 km). To make your stay more comfortable a kiosk, a lobby, air.. The hotel offers 61 rooms providing ensuite bathroom with shower, air conditioning, satellite TV, minibar (with surcharge), safe (with surcharge), wake up clock, telephone and balcony. It also features a breakfast room, TV room, complimentary Wi-Fi Internet.. 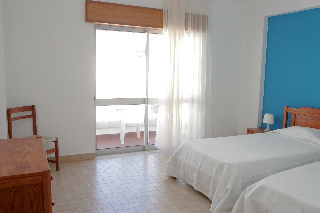 This attractive beach hotel is located in the tourist area of Monte Gordo and only 100 metres from the beach. The surrounding area is filled with shops, boutiques, cafés, bars, restaurants and nightclubs (all within 50 m). Convenient public transport..
Only 150 metres from the beach, it s privileged in Monte Gordo as it can cater for your nice, relaxing holiday so you can enjoy moments of pleasure.Accommodation: Hotel Baia has available 108 double rooms equipped with air conditioning, private telephone,.. This charming hotel offers a stunning location in Albufeira, in a quiet area, just 400 m away from Maria Luisa Beach, 1.3 km from Olhos de Água and 1.5 km from Praia da Oura. The centre of Albufeira is 5 km away, where lively nightlife and various points..